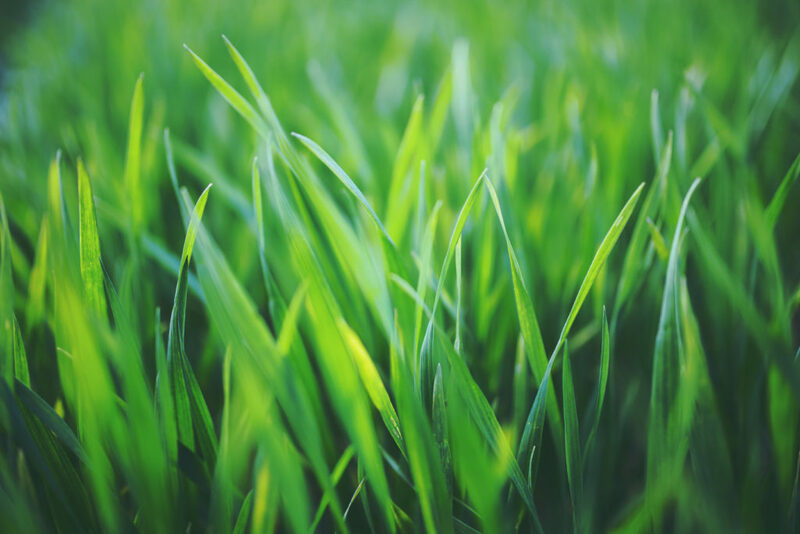 Lawn mowing is not an inevitable fact of homeowning; discover lawn alternatives that will free you from the mower. You mow your lawn every week. Trim the edges. Fertilize. Control weeds. And water, water, water. Other than a good workout, what do you use your lawn for? The fact is most lawns aren’t actually used; they’re something to look. If that’s true for you, how about creating a landscape with more visual interest? One that will let you retire your lawnmower and free up your time? There’s something soft and magical about a carpet of groundcover. Plus, unlike monochrome grass, groundcover foliage ranges from deep green to shimmering silver to chartreuse and magenta. Choose a flowering variety, like periwinkle or ajuga, and you gain an additional layer of color in spring or summer. Oh, so pretty! Once established, groundcovers require very little maintenance. Do your homework before you buy. Determine how shady or sunny your yard is, how dry or wet. Draw up a plan, keeping the height of the plants in mind. Groundcovers can be a diminutive two inches or over 18 inches tall. Some groundcovers lose their foliage over the winter while others stay evergreen. There’s a place for both, and part of the joy of spring is seeing growth start anew. Check out this Michigan State University Extension list of groundcovers for our area with their growing habits. When used as an accent or a focal point, stone brings added texture and drama to your landscape. Use it as a mulch replacement (with a weed barrier underneath) all around your home, or to highlight a special tree or grouping of plants. Combine pebbles and stepping-stones for a charming path to your front door or around to the back. The most difficult thing about using stone may be choosing the color. Soft, tawny browns? Bright bold white? Deep gray? A multi-hued selection? The visual impact of stone stands out all year round. Pavers can also be used to eliminate or reduce lawn. Installed along the edge of an existing driveway or walk, pavers add a distinctive, polished look to your home. Used them to build a patio and voila! You’ve reduced the amount of lawn you need to mow while increasing your outdoor living space. Your color options with pavers are similar to stone with the added dimensions of shape and pattern. You can create a lot interest with even a basic rectangular paver; the mood it sets can change depending on if it’s configured in a basket weave or herringbone pattern. There are dozens of options to choose from. When it comes to lawn alternatives, you’re only limited by your imagination. For any yard or home projects you want to do, be sure to check out a Consumers Home Equity Line of Credit. With competitive rates and terms, you’ll be enjoying your improvements sooner rather than later.